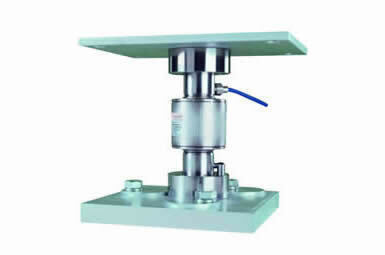 Compression-Rocker Column|Load Cells|Weighbridges|Truck ScalesZF Associates Co.
Thames Side offers two models of Compression-Rocker Column Load Cells. These are ideal when high accuracy is required in truck scales (or weighbridges), railway scales, tank and silo weighing applications, and gravimetric level measurement. The model T34 has been used extensively in truck scales all over the world, even in extremes of temperature, thanks to its stainless steel construction, fully welded and hermetically sealed to IP68/IP69K, as well as its approvals to OIML C4 (4000 divisions) and NTEP Class IIIL up to 60000kg capacity. ATEX hazardous area approval is an optional extra, with certification for use in gas zone 2 and dust zones 20, 21, 22 without safety barriers. 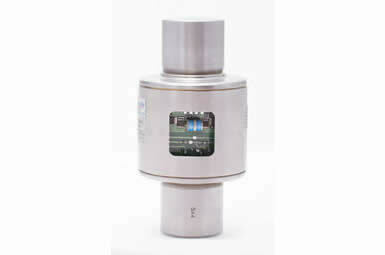 The digital T34D load cell is also available where digital load cells are required, for use in weighbridges/truck scales or even silo, vessel or tank weighing applications. It allows faster setup and commissioning of a weighing system, with individual diagnostics on all load cells. Thus the time for replacement of a load cell and the associated downtime of the system is minimised. To create a complete weighing system, Thames Side offers a class leading range of weighing assemblies, an extensive range of junction box options (including those with integral lightning protection) and high precision measuring electronics. All of this ensures optimum performance is achieved in all weighing applications. Contact Us for more information and a fast quotation. We based in Egypt and our services cover the MENA region & Africa. FOR INQUIRIES, GET IN TOUCH! Part of ZF Holding Co.